The Allez for years has stood out as a brilliant option for anyone looking to get started into road cycling. From its price point to its componentry the Allez hits the spot and this year's Allez 2019 range is no different. You will find the fork on the Allez is made from Carbon, boosting handling in tough conditions as well as lowering the overall weight of the bike. Integrated fender and rack mounts mean that you can take the weight off your back when commuting and instead put it on the bike. The E5 aluminium frame has been redesigned to save weight, resulting in 450g (1-pound) reduction in the frame and fork alone when compared to some models of yesteryear as well as being backed by Specialized's lifetime warranty. 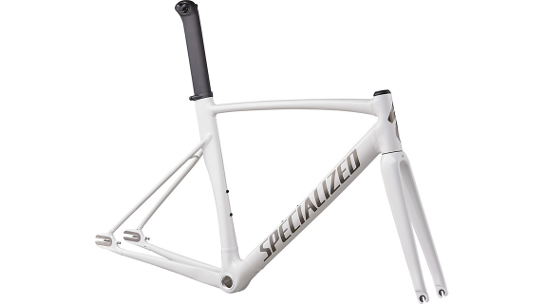 The Allez sprint frameset also integrates D'Aluisio Smartweld Sprint technology which refocuses welding positions that boosts stiffness and overall comfort of the bike. The Allez frameset is available in a build completely specific to your needs. At the TriStore, we deal with Shimano, SRAM and Rotor parts as well as 3T, Easton and Cervelo's own components with wheels manufacturers including Zipp, Hunt, Mavic and Specialized. The world, as they say, is your oyster.